As the payment preference of most customers are changing now, people tend to use cards to pay for their daily life more and more, it leads to the fact that there are more styles of wallet coming out. Typically, credit card wallet! For those who have mostly depended on cards and are seeking for the best womens credit card wallet, this article shouldn’t be missed out as I will share you my top choices of this amazing item. Read on! Who say a camo minimalist wallet can’t be a woman’s best friend? If you are a grunge-r girl, don’t miss out this design to compliment your cool and naughty outfits. 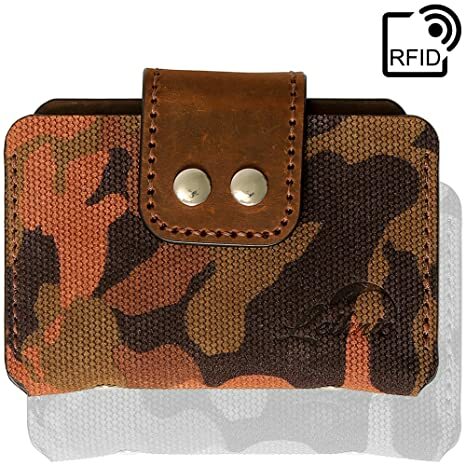 I’m quite sure that hardly can you find such perfect military wallet which stays not only slim and compact but also secure and roomy within this affordable price range. Cost under $30, this 4.4”x3” wallet can accommodate up to 15 folded bills plus 10 cards that are freely organized in three roomy compartments and secured by a sturdy metal button snap. Even after being fulfilled, this model takes under 1” thick in your pocket to unnoticedly be aware of their existence. Speaking of security, other than the strap, this wallet is also equipped with advanced RFID Shield to prevent any 13.56 MHz Frequency Signals. Other than that, Lethnic also provides a reliable 30-day risk-free trial to guarantee all problems derived from manufacturing process. 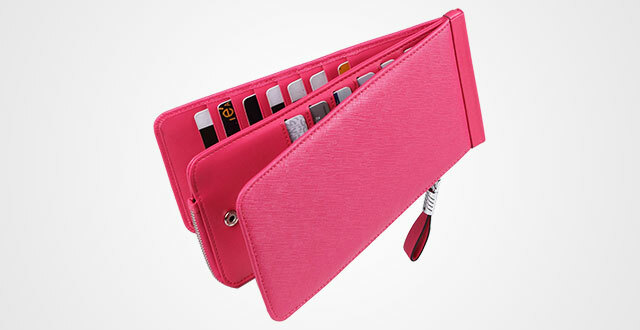 Start off this collection with an aluminum womens credit card holder from BoHong. This is a reasonable choice for those who are looking for a feminine design but not too girly to use as your daily accessory. I personally like the colorway that blends together perfectly to deliver a complete, bright and art image. This piece will not only be an ordinary wallet to keep your stuff stay neat and secure, but also an interesting detail to emphasize your outfit and style. 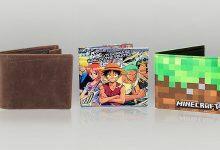 Along with design, this wallet comes in moderate space for storage, including 7 separate slots, each of which can accommodate up 1-2 cards easily. If you also have the habit of using paper money, just make advantage some of these slots for folded cash. Made out of high-quality aluminum, the wallet comes in sturdy, solid structure with great closure to surely protect your belongings in the best way. Besides, such this streamline interior construction also helps us quickly pick up the needed card, as when opening, all cards will be presented one-by-one for a clear view. I personally this is a good credit card case that’s worth a try! 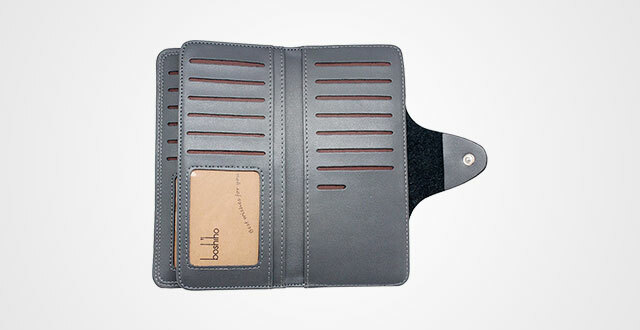 For those who’d prefer simple style, consider this boshiho wallet. Contrast to the Bohong above, its outer performance is clearly simple with nicely matching double stitching, small embossed logo on the frontside and a button strap. When first time handing on this wallet, there are two things coming to my mind right away: it’s slim and pretty soft. Made out of the finest leather, no doubt at its texture – very durable, flexible and soft. Besides, the surface is treated with a light shiny layer that doesn’t cause something too polished, but an elegant and luxurious look. I like this subtle feature! Besides, what impresses me the most is its strikingly neat construction. You won’t believe that inside a small wallet with L 7.5″ * W 3.6″ * H 1″ size includes even 24 card slots, 2 ID windows and 6 extra compartments. Wow! I think it can accommodate stuff of 4 people, not just you. There are places for everything, from bills, receipts and cards, even you can organize different kinds of currencies. For example, US Dollars in one compartment while Pounds, Euros and Yen on other separate space. Another good thing is its built-in RFID Blocking technology to prevent your personal information disclosure. Simple yet stylish, that’s what you will feel when hands on this unique product at the very first time! 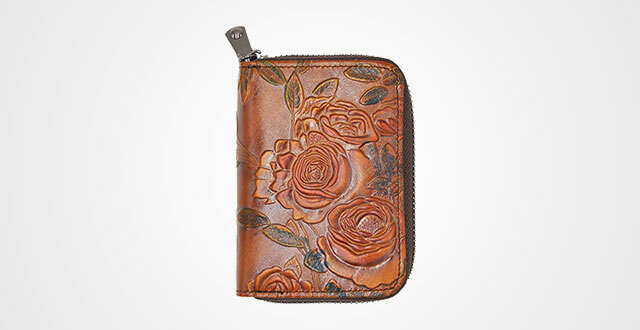 Other than high-quality genuine leather, the key characteristics of this wallet are its hand-painted colors which delivers an extremely delicate look. Measured by 5 x 4 x 1 inches, though it’s a little pricier than others, that price tag is for two things – a wallet to keep your valuable stuff safe and neat as well as a piece to mold your vintage taste. 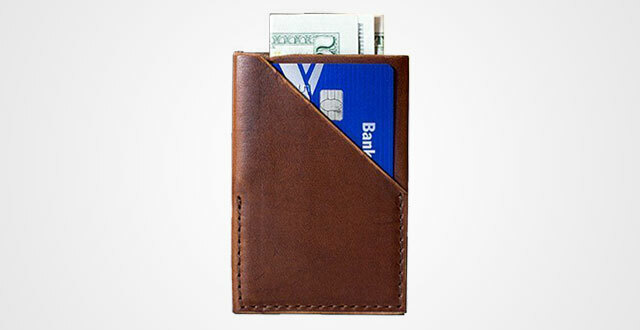 Though it’s small and compact, the construction of this wallet is no joke. 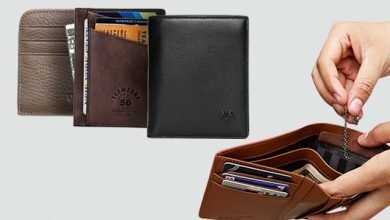 It consists of 12 card slots and 2 larger compartments for folded bills, all of which are secured by a sturdy and smooth zipper to make sure your belongings won’t fall out easily. The only pity that I wish this wallet could have is RFID Blocking Technology. If it was added such this feature, the wallet would be perfect! This is one of the slimmest wallets I have ever tried. Its biggest advantage is striking slim and handy design. The whole measurements of it is only 4.33 x 2.95 x 0.15 inches. Simple from the outside, full of life on the inside. 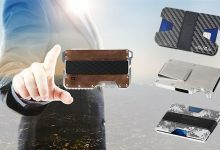 There are 2-3 money pockets, 4-5 card slots and even 1 ID window, all of which are covered by an advanced RFID Shield to prevent your information disclosure. Its maximum capacity is 7-8 cards and lots of money. Another highlight feature is that the wallet doesn’t need time to break in, you can easily store all your essentials at the very first time. Besides, it is made from good genuine leather so that you can feel free to use it for years, just need to take care of it properly to help remain the beauty as well as it durability. 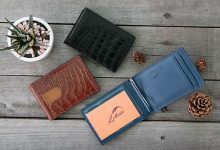 If you are a person who love hunting for handmade wallets, chances might you know about Horween Leather Company, which is one of the oldest America-based company that continuously runs tanneries. 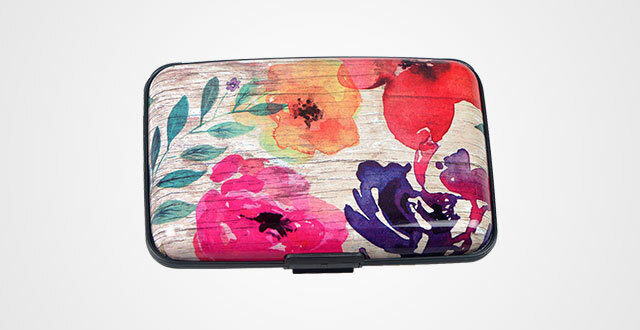 That’s also the reason why I highly recommend you to try this womens credit card wallet. Yes, it’s from Horween! What makes it stand out from the crowd is the material. Every piece of leather is handmade by the finest artisans to deliver the highest quality, durability and longevity. Each product from Horween can serve you for decades, even it gets better with time. Other than quality, the manufacturer is very sensitive to catch modern trends of minimalist lifestyle. This design is a typical example! Come up with 3 slots with two outer slashed designs for quick access, it’s strikingly thin and compact to fit smoothly in any pocket, no matter it’s the front, chest of back pocket. However, it can accommodate your daily carry if you’re a person who prefer to carry less. Like a couple of cards, and loose change folded. 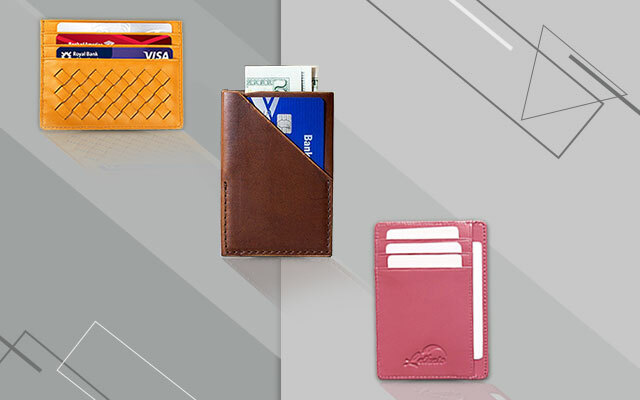 For a modern, outstanding and sporty wallet, you can’t go wrong with this Bench Built leather card holder. The combination of black and orange is very attractive, beautiful and catchy to surely make you stand out from the crowd and receive countless compliments. This design is very suitable for those who are active girls. It features a solid piece with special stylized design to fit neatly your cards, such as credit card, debit card, IDs or driver license. 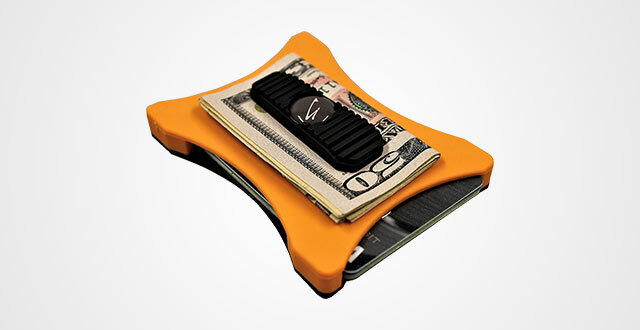 Along with that, there is an elastic band as a money clip. With this portion, you will have some extra space for a couple of loose change or cards. But I highly recommend to use it for folded bills. In terms of its inner capacity, the wallet can fit up 5-6 cards without bulk. Again, this is a recommendation for those who are following minimalist lifestyle or love to carry less. If you want a more spacious wallet to fit all of your valuable stuff such as smart phones, coins, keys, along with cards and cash, this credit card organizer is the best choice. It’s streamline and well-organized for sure! 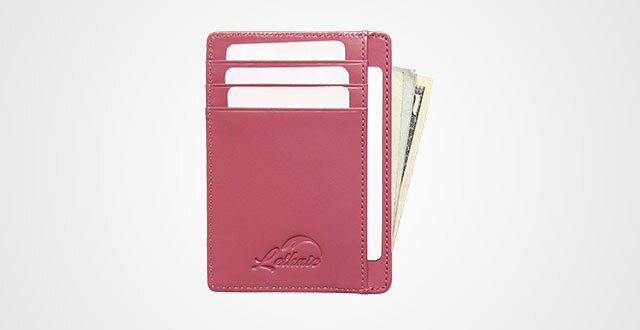 There are 18 card slots (including 1 clear ID window) and two closure zippered pockets that not only can fit up many coins and keys, but also your smart phone and straight bills. On the other hand, because it’s featured as a long bifold wallet, to keep the wallet shut when not in need, Travelambo added a button strap in its interior, plus, a snap button on the outside. From that point, if you don’t like your wallet always open in your bag like me, don’t hesitate to pick up this incredible design. Besides, it’s very versatile and multiuse thanks to the high-quality genuine leather and elegant, luxurious outlook. 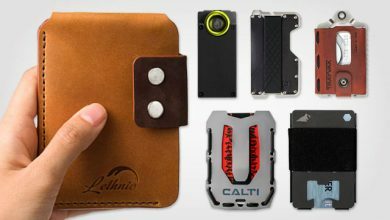 In fact, you can utilize it as a party wallet, travel wallet or just a casual piece for daily use. 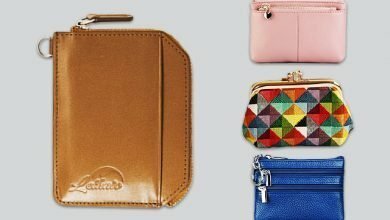 If you like to carry your whole world along, there’s still have the best credit card wallet for you. 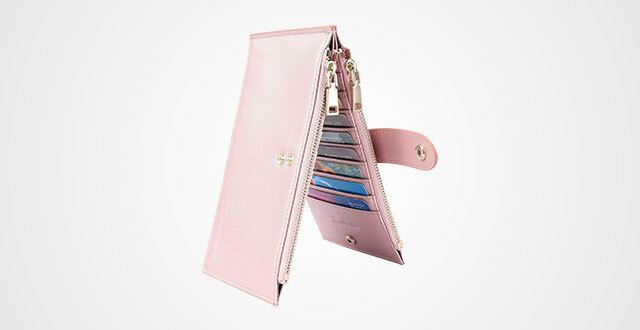 Here, this genuine leather Huztencor womens credit card wallet! 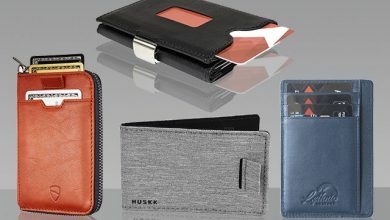 It arrives in 25 card slots, 1 clear ID window and 1 large zippered pocket that enables to fit up iPhone 7 Plus, large-sized currencies and checkbook. In terms of design, I personally like its outer performance with full-plain surface. Actually, I don’t like those product that are too heavy logo. Such simple outlook with no brand logo, no details, it’s elegant and luxurious! Another very good thing about it is the built-in RFID Blocking Technology, but the special thing is that it’s already been tested and approved by Military Grade Technology for ultimate security and protection. Besides, when it comes to Huztencor, you will get a variety colorways to opt for, including black, orange, rose and red. This is a futuristic design! 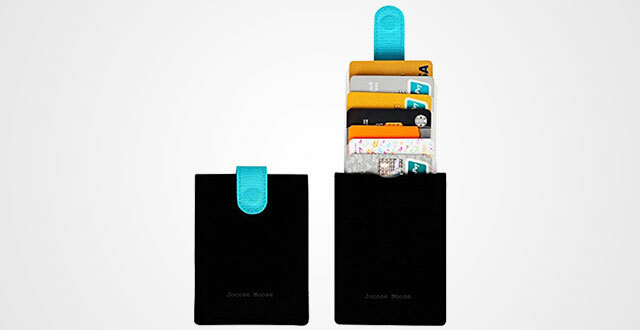 Not only does it feature an advanced RFID Blocking Technology to provide extreme protection, but this wallet from Jocose Moose also impresses me by its stylish, sleek and modern outlook. Measured by 3.9 x 3 x 0.3 inches, it includes a major spacious compartment that can accommodate up to 8 cards easily. But a special feature is that this compartment is attached a smart pull tab for quick access your cards. I mean when you pull the tab up, all cards will be presented one-by-one so you can quickly pick up the desired one. Besides, it’s also easy to pull down without bulk or tightness. Other than this convenient compartment, there is one more extra slot on the backside for your regular cards as well. 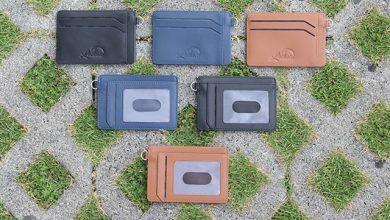 Compared to those traditional bifold wallet, this wallet comes in the same capacity whereas slimmer silhouette. In other words, it’s much more functional and convenient to fit your daily use. Actually, this Meku wallet comes in a variety of designs and colorways, but I particularly like this version as it features unique handmade weaved style to make the wallet itself stand out from the crowd but still remains a feminine and gorgeous look. Designed as a minimalist wallet, this piece is perfect for those who are looking for a “more from less” design or love carrying less. In case you like to carry your whole world alongside, I don’t recommend it as the wallet only includes 3 card slots, each of which can fit smoothly up to 2 cards without bulk. 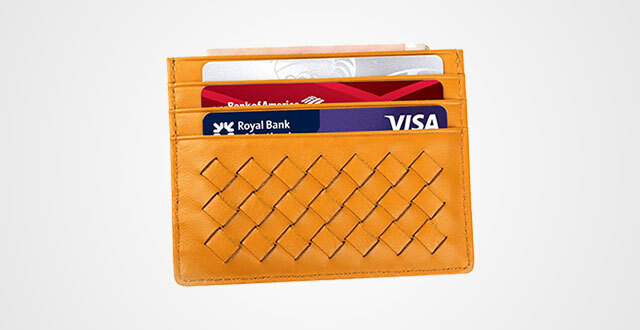 It’s perfect to accommodate your vital stuff such as a couple of regular cards and some loose change. But what makes me decide to add it to this collection is its reliable warranty to cover all detective faults from manufacturing progress. It’s worth a try, ladies! 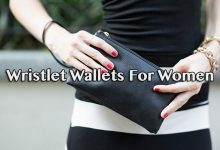 We have just gone through ten of the best womens credit card wallets that can be used for both daily use and special occasions. Each is designed uniquely but still remains the ultimate capacity and protection. So, which is your pick of the bunch?